Please review the new and updated proctor information. All final exams must be completed under proctored conditions to ensure academic integrity. Excel High School utilizes digital audio/video online proctoring. Online exams can be taken anytime with our user friendly Learning Management System. All final exams are recorded and reviewed for each test taker. A proctor is someone who witnesses a test taker completes their exam to ensure that no cheating takes place. The proctor will watch for any exam violations that may take place during the test and report any infractions to the institution for further review. Excel High School takes academic integrity very seriously. We have taken reasonable steps to ensure that test takers are maintaining honesty and integrity throughout the test taking process. Excel offers flexible online proctoring solutions that will work for all students. Taking an exam with an online proctor increases the integrity of your courses and the overall value of your high school diploma. Excel High School has partnered with Proctorio to proctor all final exams. Proctorio is a cloud-based system that integrates with the Canvas LMS (Learning Management System) Our online proctoring system is very easy to use and is accessible anytime and anywhere. The great thing about Excel’s proctoring system is the ease and flexibility for the user. One very important component of any online diploma or degree program is to maintain the integrity of the learning process and measurable outcomes. In times past, students would need to recruit their own proctor and physically go to a testing center to have their tests monitored. Thanks to Proctorio, students have the convenience and flexibility of online proctoring from home, 24 x7. Online proctoring is simple to use and ensures academic integrity for all exams. Students simply login to their test and follow the simple steps to confirm identity, before taking their online exam. All exams are then recorded for review by a certified proctor specialist. The proctoring software records both the screen and the surroundings of the test taker via webcam. 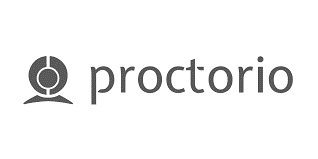 Proctorio is a cloud-based (SaaS) solution for secure online examination delivery. Using a standard computer webcam with a high-speed internet connection, students now have the ability to take a proctored exam online affordably – anytime, anywhere. Don’t have a webcam? EHS offers very low priced web cameras for less than $ 10, via Amazon. Built to protect exam integrity, Proctorio authenticates the identity of the test taker and captures the entire exam session which is later reviewed by certified proctors. Taking a final exam at home is very convenient and flexible. If you have any questions or concerns regarding proctoring exams, please contact the Excel High School Administration Office at 1-952-465-3700 or email learningsupport (at) excelhighschool.com. Please include "Proctor Question" in the subject line.